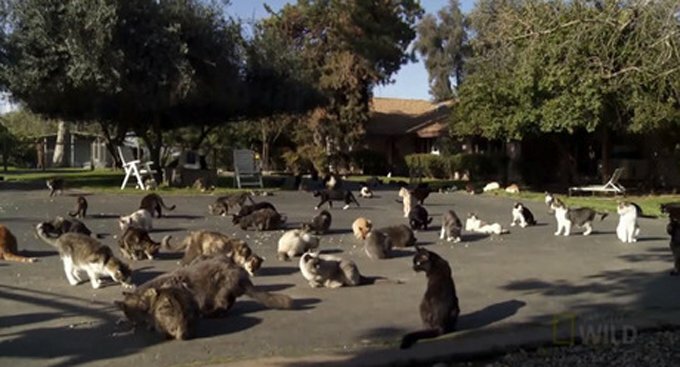 The Cat House On The Kings may be the world’s largest cage-free no-kill sanctuary and cat adoption center. 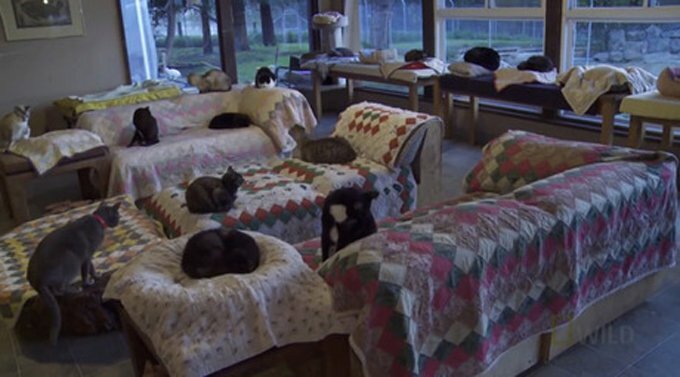 12 acres of grassy fields, tall trees, a lazy river, over 800 cats and growing all the time! There’s a nursery for the babies, an intensive care unit for the sick, and a retirement home for the elderly. 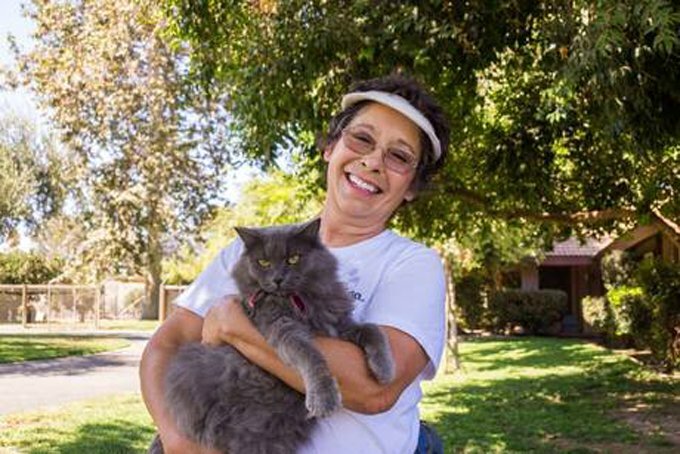 Lynea Lattanzio has been rescuing cats for 20 years and she’s not slowing down. Lynea funded and transformed her home and land all by herself to create this amazing cage-free sanctuary. She’s saved the lives of more than 18,000 cats. People drive from miles around to bring her cats, kittens, adoptable and unadoptable… nobody is turned away. Every year she places over 5,000 cats and kittens into homes. It all started when her father asked her to help him find a cat. She went to a shelter and the rest is history. She just can’t say no to a cat in need. She’s devoted all of her property, money and belongings to cats. Cat’s prefer a quite home-like environment and that’s exactly what they get at CatHouseOnTheKings.com. You’ve got to visit their Facebook page to show your support and see all their amazing photos of kittens and cats. It costs $48,000 a month to keep the sanctuary running, and Lynea and the cats depend on her own money and of course donations from cat lovers. She has lots of programs to help cats and kittens find homes and the unadoptable ones get to stay for life. If I were a cat, I know where I would want to live.